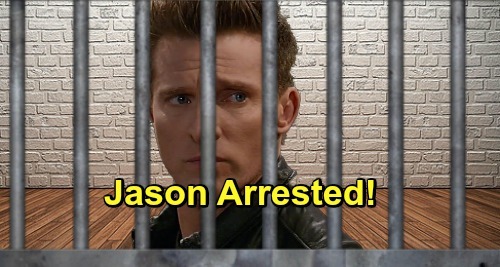 General Hospital (GH) spoilers tease that Jason Morgan (Steve Burton) will find himself on the wrong side of the law. He’ll do something that crosses the line and results in his arrest during the week of March 25-29. There’s a good chance this will have something to do with Jason and Sam McCall’s (Kelly Monaco) plot. Sam and Jason are determined to take down Shiloh Archer (Coby Ryan McLaughlin). As Kristina Corinthos-Davis (Lexi Ainsworth) sinks deeper into Dawn of Day, “JaSam” will rev up their efforts. They can’t just sit back and let Kristina be brainwashed. Her family will grow increasingly concerned as Kristina focuses on Shiloh and Shiloh alone. He’ll become the center of her world soon enough. General Hospital spoilers say Kristina will even plan a huge step to prove her devotion. It sounds like Kristina will want to get that creepy tattoo and basically mark herself as Shiloh’s property. Of course, Shiloh won’t market it like that. He’ll treat the gesture like some wonderful gift that’s given to only his most trusted, loyal followers. 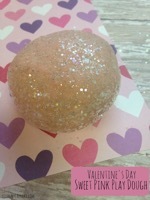 Shiloh will continue to make Kristina feel special and desired. As things start to get dangerous, GH spoilers hint that Jason may leap into action. He might break in Shiloh’s lair and try to secure incriminating documents against him. Then again, he could go into “Stone Cold” mode and launch an attack. It’s easy to imagine Shiloh pushing Jason too far during a confrontation. Jason might throw a punch while peace-promoting Shiloh does nothing. He could file charges and get Jason arrested. Naturally, Kristina would side with Shiloh like she always does. General Hospital spoilers say he could even use this as part of his scheme to reel her in. Shiloh can’t rest until Kristina’s completely programmed to believe every word he says and obey every order. She’s already pretty much there, but Shiloh has to make sure her loved ones won’t get in the way. That’s why he’s encouraging the idea of distance. Jason’s arrest could make matters worse, so Sam may have to step up and find a real solution. As for Jason, he’ll have some legal issues to wiggle out of. Jason tends to be awfully good at that, so he should be a free man again before long. We’ll give you updates as other GH news comes in. Stay tuned to the ABC soap and don’t forget to check CDL often for the latest General Hospital spoilers, updates and news.